Have you ever wondered whether you’re brewing your teas the correct way, or want to make even better tea? Then read this article and learn where you’re going wrong! If so you’re missing a huge range factors that could keep you from having the best cup you’ve ever had! The kind of water, the light hitting your tea, the purity of the water, and even the type of drink container you use will all have dramatic effects on your tea. You need to learn what to start doing to make your tea taste better than it ever has before! Read on……. Be careful using tap water! You may not like what’s in it……. Have you ever been curious what’s in your tap water? Viruses and bacteria, herbicides and pesticides, as well as salts and metals can be found in even the cleanest tap water for a variety of reasons. More than likely your utility company has taken measures to contain any health risks that could come from your water, but obviously, these substances can influence the taste of the tea that you’re drinking. Storm water runoff, septic system activity, and nearby oil and gas production are just a few of the many factors that could end up in your drinking water in small amounts. Obviously, it’s a much better idea to use a gallon of purified water you can find at your local grocery store……Besides the purity of your drinking water, you want to use water that doesn’t add much flavor to the tea you’re drinking. Every type of tea has subtle flavors that’ll come through only if it’s unaffected by factors such as the type of water you use. So from here on out, make it a habit of using filtered water. Porcelain is the no. 1 material that you should look for when choosing your drink container. Not only does it grip easily in your hands when drinking it, but porcelain also has several advantages when preparing your tea. First off it’s resistant to many types of germs so you’ll be sure that you’re drinking a clean cup of coffee free of the contaminants we just mentioned. Next, porcelain helps tea cool off more efficiently which helps bring out the flavors of certain teas that need to be brewed at lower temperatures. If your tea needs to contain the heat better, then it’s better to consider a drink container made of iron or heavy ceramics. This is an important step as you want to contain the aromas and flavors of the tea you’re taking all of this care to brew, and when you consider the other factors we’re discussing, you’ll want to make sure the cup will make it even better. 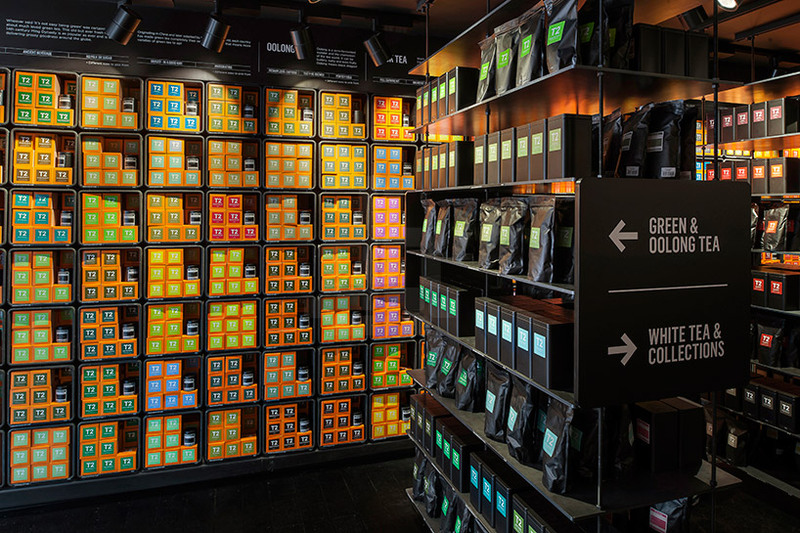 Many specialty tea stores take the time to properly store their leaves, and you should consider doing so too. Your favorite tea can lose its finer qualities if the proper measures aren’t taken to slow down this degradation. Factors such as oxygen, light, heat, and moisture can speed this process up and spoil your leaves, but you can do a few things to prevent this. Why should you consider this step? Again, it’s all about preserving the subtle flavors that make up the overall taste of your tea….. The best overall solution is to invest in an airtight container where the leaves can remain the way they’re supposed to be. You see moisture and oxygen will make the tea oxidize prematurely and lose its taste. Too much light makes most teas bring out metallic flavors that are probably unwanted. Lastly, the leaves will absorb any odors lingering in your kitchen. After spending money on all your teas, and learning how to brew them properly, do you think this would help now? We do! Many teas have different flavors that react to different temperatures so this may be by far the most important step to consider! Brewing all of your tea at the exact same temperature is a lot like cooking prime rib, sirloins, and filet mignon all well done because it’s all beef! Black teas, oolong teas, green teas, white teas, and such all have different flavors that are released only when the water you’re using is brewed at the appropriate temperature. For instance, not using boiling water for black tea will not release its essential elements, while using the same heat for green tea will release too many of its astringent flavors. Each tea is listed from lightest to darkest, and your temperatures will also vary according to whether you’re using broken or full leaves. If all else fails and you’re still confused by what temperature and how much time to steep the tea, look for instructions on the package your tea came in. Get Ready For The Best Tea Of Your Life! Follow These Key Steps And You’ll Never Go Back To Your Normal Tea Brewing Routine. More than likely you’ve probably never thought so much about how to brew tea! It can be overwhelming to think of such a simple task having so many factors that complicate and alter the taste of a bag of tea. 1. Use cold, filtered water instead of tap water! There are too many other substances in tap water that may or may not affect the taste of your teas. 2. Stick with porcelain cups or mugs to drink your tea out of. It’s resistant to germs that accumulate on glass and heavy ceramics, and it can better contain the aromas and flavors that’ll be released after the brewing process is finished. 3. Invest in an airtight container that’ll block light, and prevent moisture and air from decomposing the leaves before you’ve even brewed them. 4. 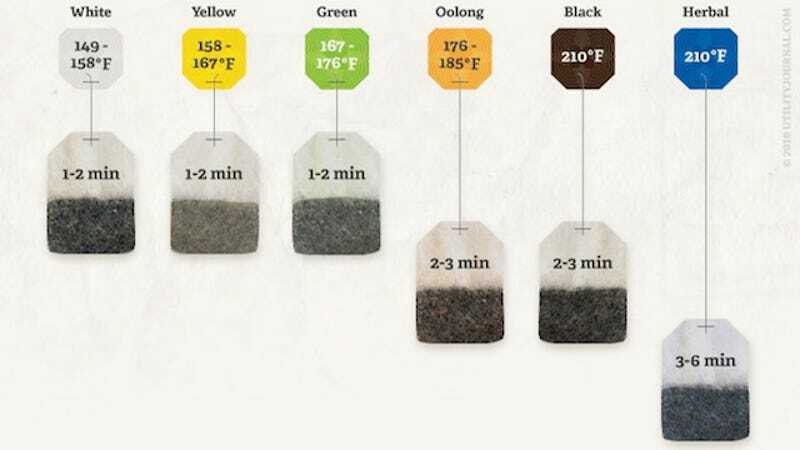 Become familiar with the amount of time needed to steep your tea, and at what temperature you should brew it at. We hope you’ve gotten plenty of useful tips from our article! Please share this with your friends who also appreciate drinking tea as much as we do, and share any tips that may help with us! How do you make your tea? Feel free to share your experience in the comments! 3 Last Minute Shopping Strategies For People Who Have No Time To Shop!